This book is a short transcript of Persian fairy tales. There are many things to learn from these stories. And there are 24 stories in this book which are included in five major stories like Arabian Night, story in the story, even you find deeper matches. For example - the type of storytelling, Supernatural creatures, the presence of magic etc. 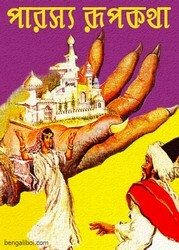 So those who like Arabian Night, hope they will love every story of this book. The ebook has 142 pages (49 page is missing), 16mb file size. All these stories are translated into Bangla by Sririturaj.